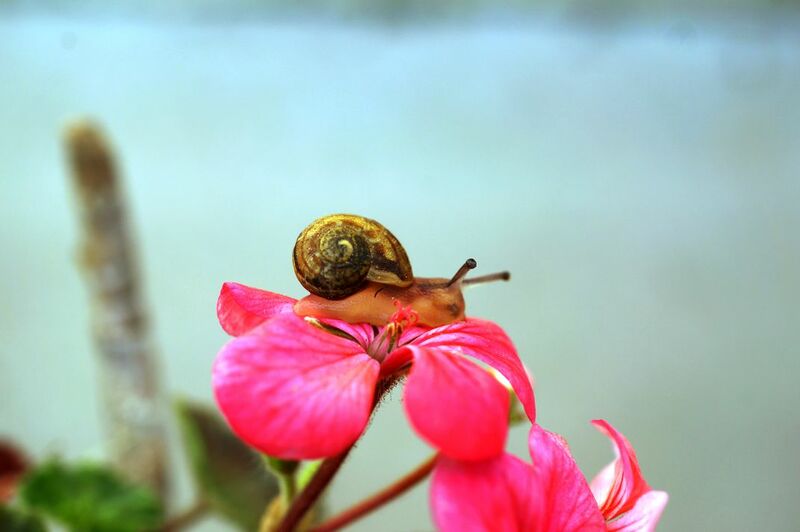 A baby snail that I found just resting over a neon pink flower. He almost looks likes he is asleep. Date Uploaded: July 10, 2015, 2:44 p.m.